The grand parents in my neighborhood are keeping me busy. They come up with the funnest ideas for me to try. This one was for a four year old little girls’ cowgirl party. 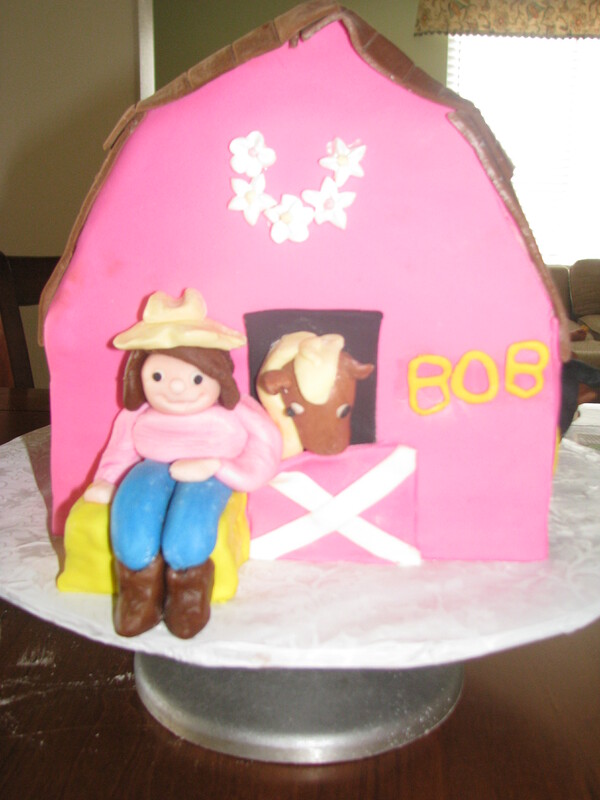 Her grandparents used to own four horses and so their likenesses were on the side of the cake. I learned the difference between a sorrel and bay and had lots of fun making this cake. 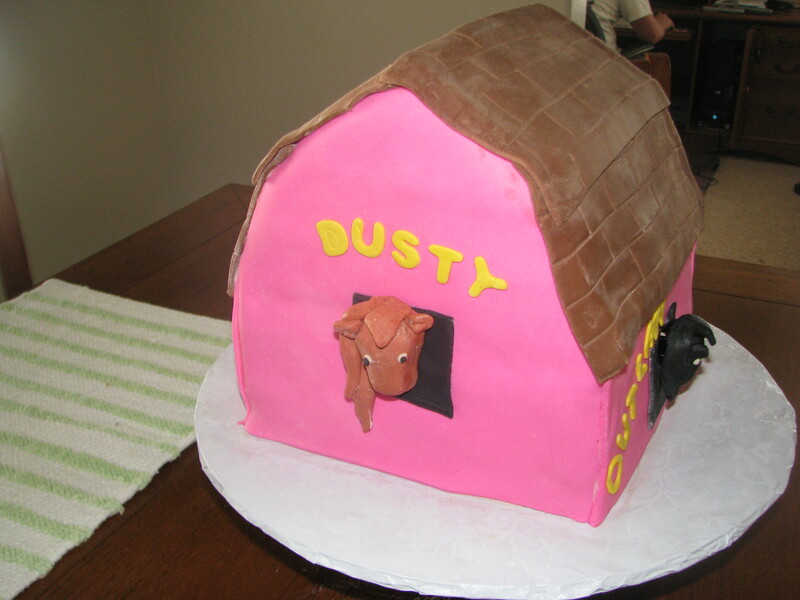 The cake itself was two double layer cakes stacked ontop of each other, with the top layer being carved into the “barn” shape. It was a french vanilla cake with vanilla buttercream frosting.